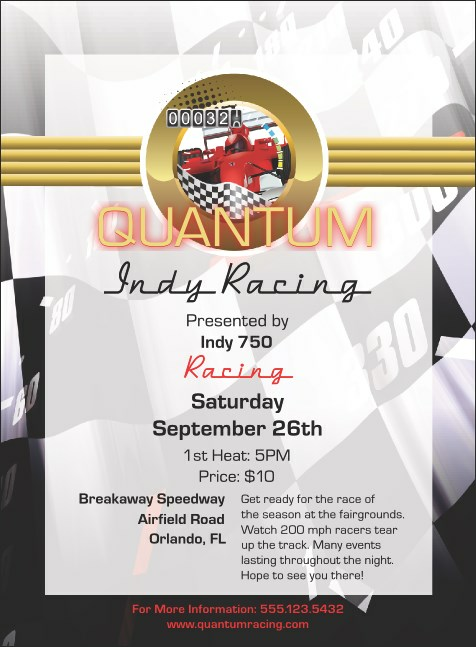 Have guests racing to your next gathering with the Indy Racing Invitation! Your guests need to know about your event, so tell them in the spirit of the day! This invitation features a photorealistic Indy Car as it’s background, and is printed in bright, bold colors! Don’t race around in circles looking for great ideas. Stick with TicketPrinting.com for tons of great options.